Thank you to all of our participants at this year’s hunter pace! 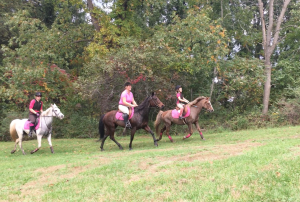 It was a great day full of fall leaves, long canters, inviting jumps and best of all, friends. We can’t wait to see you all again next year! Wonderful pace, glorious trail, views and weather and the steak lunch was delicious too! What a fun day – thanks OCH!!! Great day out! Perfect weather and amazing trails and volunteers! Flawless event. Everything worked. The volunteers were terrific. My daughter, Lana never enjoyed a day as much as she did yesterday! God bless and thanks so much. We have a wonderful ride every year… Thank you!